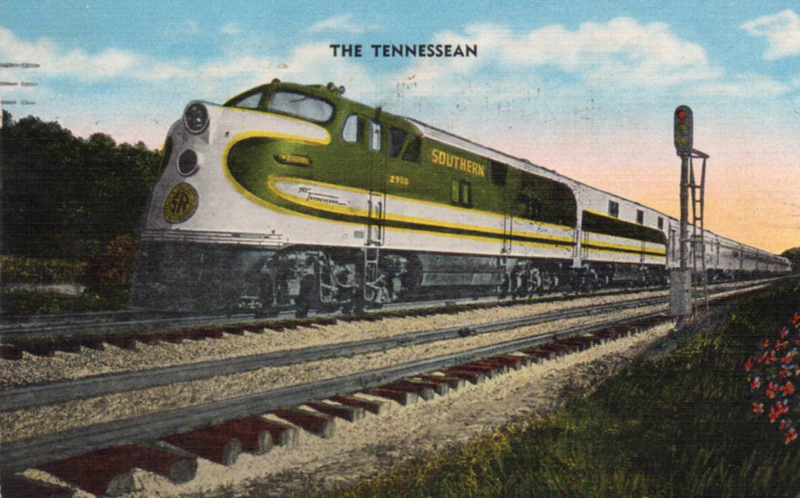 The Tennessean train was jointly operated by N&W and Southern with a 24-hour run between Washington DC and Memphis. It made regular trips from 1941 until 1968. 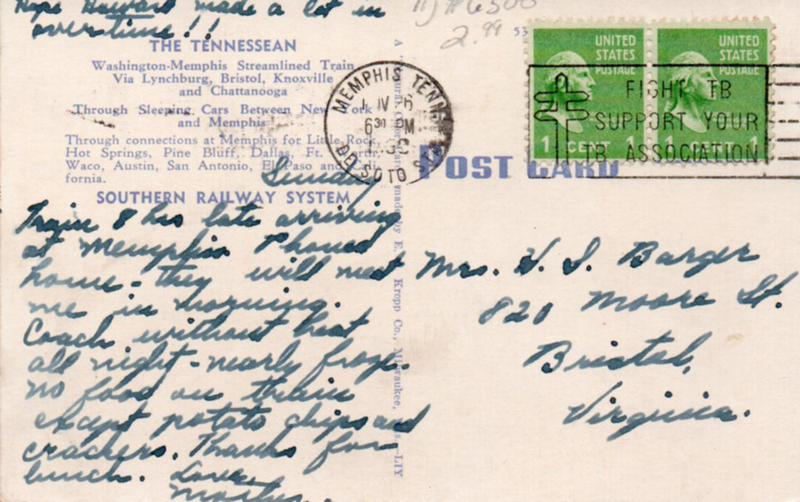 The Memphis postmark is incomplete, but has to be from the ’50s, when postcard postage was two cents (1952 – 1958). Card was printed by E. C. Kropp of Milwaukee.